With resolutions as fine as 12 feet (3.7 meters) per pixel, the detail of these images is 20 times finer than that obtained during the asteroid's previous close approach to Earth three years ago, which was at a greater distance. The new radar data will provide important constraints on the density distribution of the asteroid's interior—information that is available on very few near-Earth asteroids. Asteroid 2003 SD220 was discovered on Sept. 29, 2003, by astronomers at the Lowell Observatory Near-Earth-Object Search (LONEOS) in Flagstaff, Arizona—an early Near-Earth Object (NEO) survey project supported by NASA that is no longer in operation. 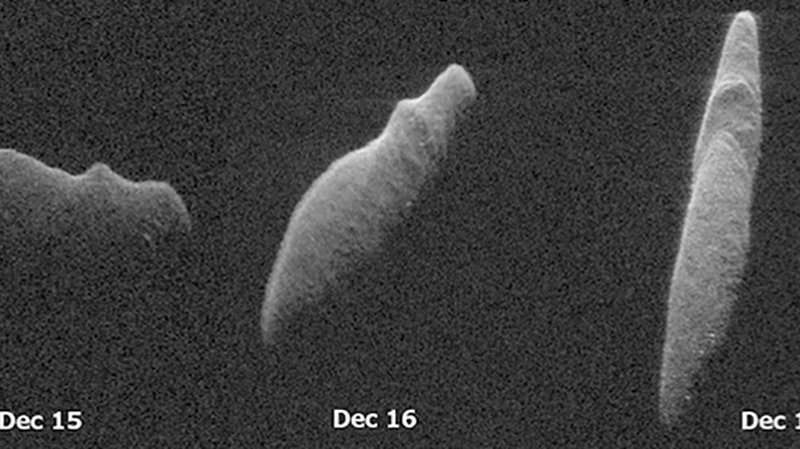 It is classified as being a "potentially hazardous asteroid" because of its size and close approaches to Earth's orbit. However, these radar measurements further refine the understanding of 2003 SD220's orbit, confirming that it does not pose a future impact threat to Earth.